Some magazines may call it Juxtaposition, some call this an odd pairing, some will say - Spring Summer but for me it's "Celine dressing". The Ad Campaign for S/S 2013 inspired me too much and the androgynous face of Daria Wwrbory was plastered in my head for days. 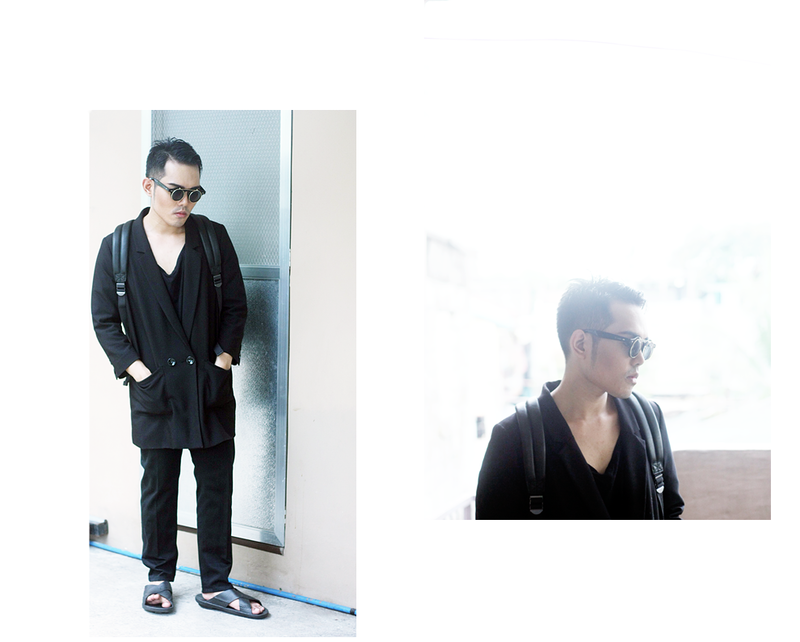 i don't have sneakers so i guess the cross sandals would do to undermine the rigidness of the tailored outfit. Nothing special here: Just my wet-styled hair and my small feet inside these big sandals.